What Price The Sky ? So, the inevitable has happened and Fox has tabled a full takeover of European broadcaster Sky. There are many reasons why this should be rejected. First of all is the price. $19bn is a lot of money, but it's a paltry consideration for a company that straddles over three of Europe's largest TV markets. The revenue run rate is over £12bn and growing at 13% per annum. 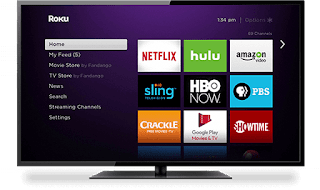 The company has an extensive and valuable back catalogue and an effective multi platform strategy, including Now TV, which is a viable rival to Netflix and Amazon. Shareholders should laugh the deal away. The regulators don't have a leg to stand on. In attempting to create a single EU market for content, they have opened the front door to US (and Middle Eastern) interests and are in the process of handing over the European TV industry. However, there are good regulatory reasons why the deal should be examined more closely at a national level. Then there is the moral argument. The company that owns the Highly dubious Fox 'News' and whose senior executives have been found lacking in oversight may not be the best people to control Europe's most powerful TV service. On the other hand, there are arguments that the era of the small broadcaster is over and only the likes of Comcast, Liberty and Sky can compete with Netflix and Amazon. Sky also provide superb services, albeit at a high price. And it produces and funds great programming: its sports coverage remains unrivalled. There is little doubt that the deal will go through eventually, but it's worth reflecting that this means that Sky, Now TV, Virgin, Amazon Prime, YouTube and Netflix will all be major US owners of British audiences standing against local incumbents BT, BBC, ITV and Channel 4.